Goblins like monkeying around. We spent very sunny Sunday near Villach, Austria. Austria is famous for its skiing, but it is also a great summer destination. 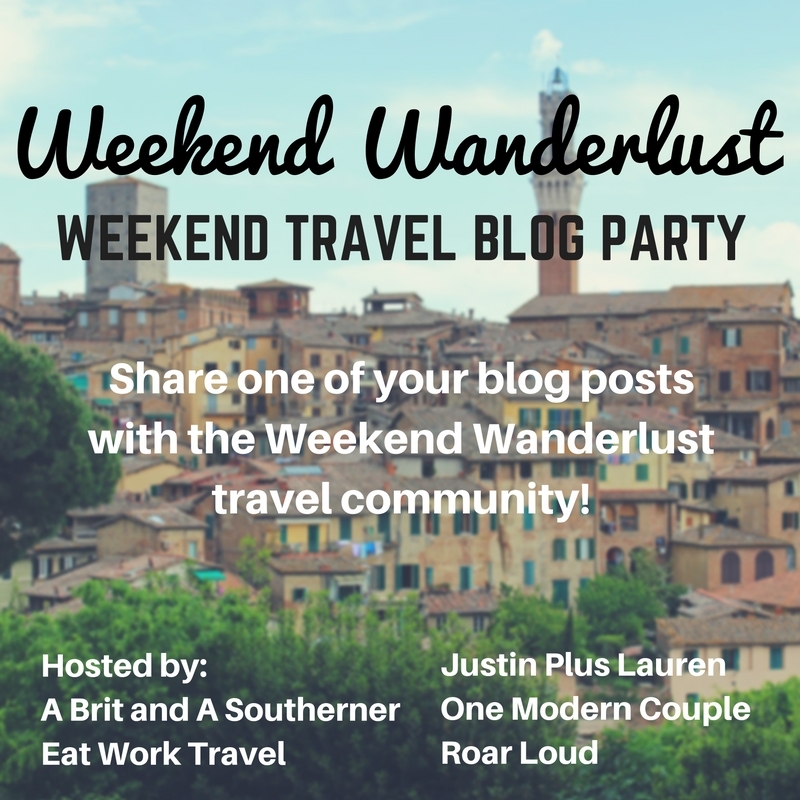 Numerous lakes, hiking paths, parks and festivals can keep anyone busy. Luckily, one of the part time goblins had to work on Saturday. 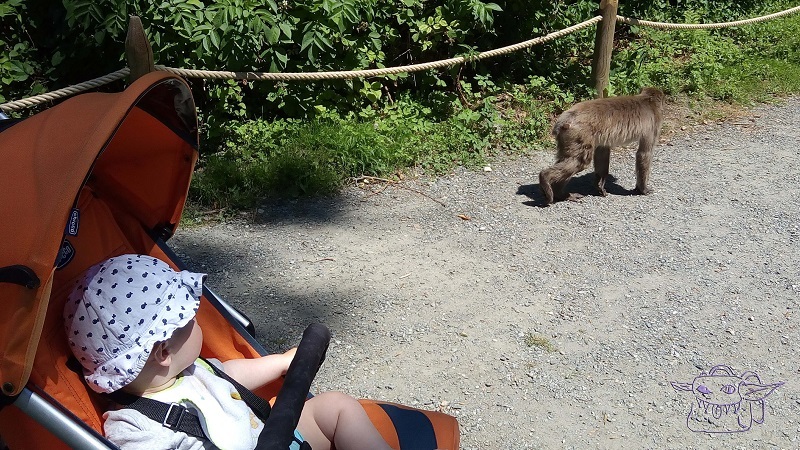 On Sundays, most of the shops in Austria close down, so Goblinette couldn’t waste time spending money and had more time for nature, family and monkeys. No, we didn’t confuse this alpine country with Australia. You can find monkey resort Affenberg Landskron close to Villach in Carinthia. 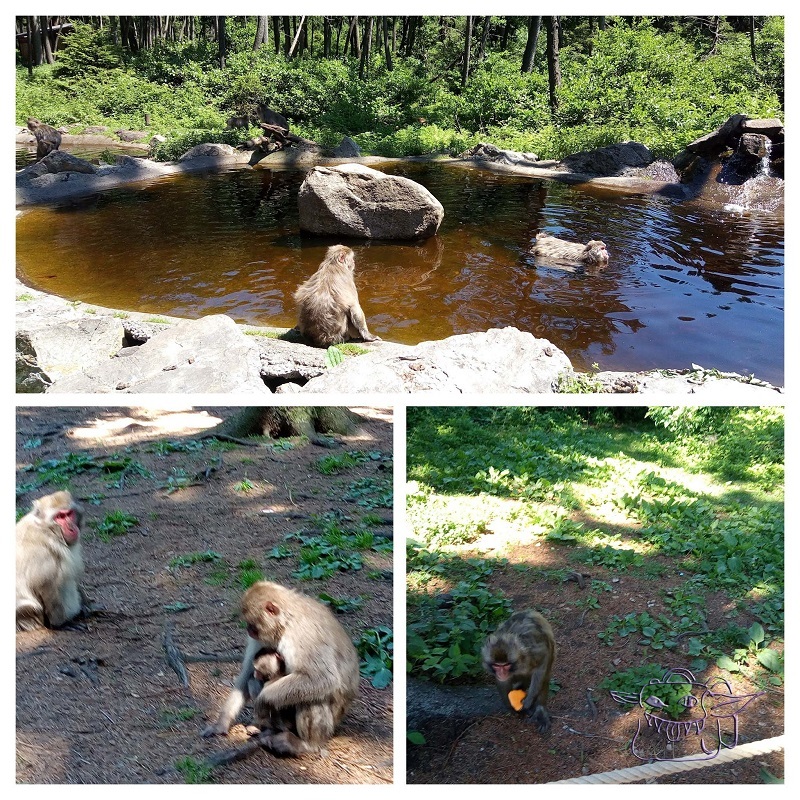 On Monkey mountain around 150 Japanese macaques roam almost free. There aren’t any cages inside the resort, but they have a high fence around a very large area of the forest. Half of it is closed for visitors, so monkeys can have some privacy. We arrived a few minutes after previous group went in. Before entering we had some cold drinks and burgers and prepared our selves. There is no food or toilets inside. Monkeys like to steal food, bottles or any other fun objects from visitors. For their safety, no such objects are allowed. Tour takes 45 minutes. No problem for adults. Lil’ Goblin had something to eat before going in. Later he was having to much fun to be hungry or thirsty. In the peak season there is a tour every 20 minutes and in the lowest season every hour. 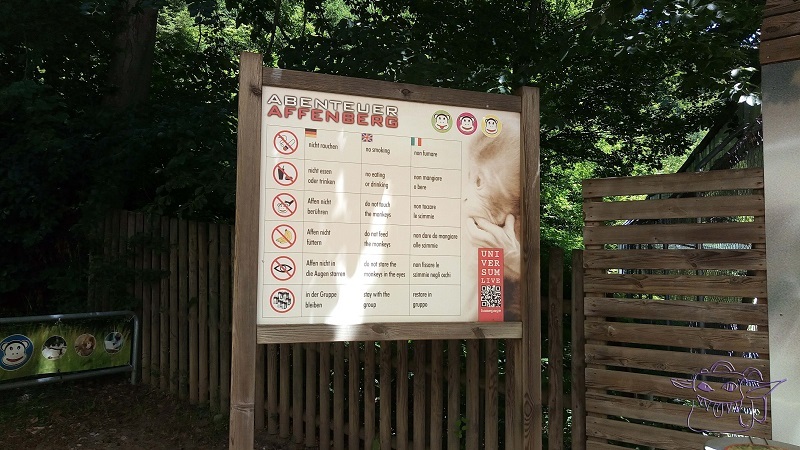 Fun, family and monkeying around in Affenberg. The Japanese Macaque is listed as a Threatened species by the IUCN, and the southern subspecies is listed as Endangered. They normally live in Japan and like cold. They live in areas with lots of snow in the winter and occasionally treat themselves to a spa visit. Macaques love to dip into a hot spring in the winter. The area of the Monkey mountain in Austria has similar temperatures to their home and enough snow, so they can enjoy being outside all year long. When they want to get warm, they can use one of the monkey huts with heating. Read more about them here. The macaques are happy and safe in Affenberg Landskron. We saw some adorable monkey babies climbing with their mommies. Our cute Lil’Goblin was strapped in the stroller or carried all duration of the tour. He was thrilled by all the tails he could pull if left to crawl free. Monkeys are friendly but don’t like being touched by strangers and might feel provoked by a happy human baby. Lil’Goblin had so much fun counting monkeys he even forgot to cry for snacks. We had to hide his stuffed bunny in the backpack, for bunny’s safety. A baby and a monkey sharing a path. Unless you plan to visit late in the evening, walking path is very sunny in the summer. Put on some sun cream. After watching swimming monkeys you can drive to the Ossiach lake. Austria’s third largest natural lake is perfect place to cool down on a hot summer day. Our last post about Austria was about our trip to Vienna. 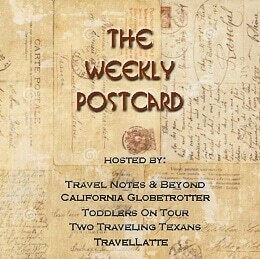 Posted in Austria, Travel with kids and tagged Affenberg, Austria, baby, Carinthia, monkeys, Villach.